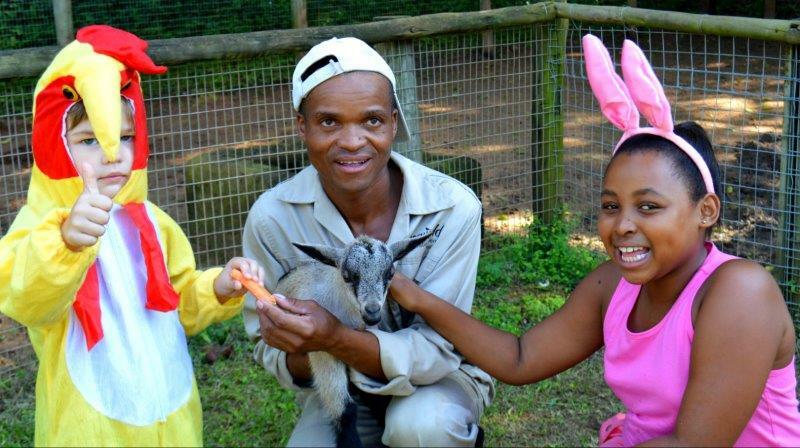 It’s all about family-time fun at Crocworld Conservation Centre, based in Scottburgh, as the Easter Holiday Programme gets underway from Friday, 19 April to Sunday, 5 May. • Daily crocodile feedings at 11am and 3pm. • Daily snake demonstrations at 10.15am – learn all about the various snake species and what to look out for. • Guided forest walks at 12pm – view the diverse bird and wildlife in their natural habitat. • Vulture feeding and talks on Mondays, Wednesdays, Fridays and Sundays at 2pm. On Sunday, 21 and Monday, 22 April, following the crocodile feedings at 11am and 3pm, visitors to Crocworld Conservation Centre will get to meet an animal of a furrier kind – the Easter Bunny! This friendly chap will be handing out Easter Eggs to the children, so be sure not to miss out. Visitors are also welcome to stop in for a quality meal or quick bite-on-the-go at Fish Eagle Café. Situated within the centre, overlooking the crocodile enclosure and with stunning ocean views, Fish Eagle Café promises exceptional food and service in a gorgeous setting. Crocworld Conservation Centre is open from 8am to 4.30pm daily. For more information about the Easter Holiday Programme and other Crocworld events, visit www.crocworld.co.za, @CrocworldCC on Twitter, or Crocworld Conservation Centre on Facebook. Next: All of the scrub none of the scratch! The Easter break is fast approaching and many South Africans are making travel plans to enjoy family time, attend church conferences and get a break from their busy work schedules. While the holiday is high on the agenda for many consumers, adequate protection of valuables such as car, home contents and other personal belongings may not be. This is according to Etienne du Toit, Momentum Short-term Insurance Chief Commercial Officer, who highlights that getting in touch with your financial adviser and/or insurer to understand what you are covered for is essential so you can put measures in place to ensure you are not underinsured. For those planning to travel abroad, du Toit suggests taking out insurance for personal belongings you carry with while travelling. For added peace-of-mind when travelling outside of South Africa, Momentum Explorer offers vehicle insurance cover for travellers in neighbouring countries such as South Africa, Angola, Botswana, Kenya, Lesotho, Malawi, Mozambique, Namibia, Swaziland, Tanzania, Uganda, Zambia and Zimbabwe. It also includes emergency accommodation, repatriation of your car, medical repatriation and inter-hospital transfers while outside of South Africa. Another holiday-related inclusion of this policy is cover for vehicle mechanical or electrical failure, car loss or damage due to an accident, and watercraft cover for any boats or jet skis you may want to take along with you,” he adds. 1. Have the emergency contact details of your insurer with you at all times. Momentum clients can find this information on the app, website or their policy documentation. 2. Report damage or theft of your valuables to law enforcement authorities as soon as possible. 3. Momentum clients can use the Momentum App or website for hail and windscreen claims to ensure quick and easy processing. Other types of claims can also be submitted effortlessly using the Momentum app or website. For more information, visit www.momentum.co.za. With the month of April filled with an abundance of public holidays, families across the country are taking the opportunity to get away and unwind. For those on the hunt for a good bargain, Premier Hotels & Resorts will be giving guests 20% off all 2-or-more-night stays at any Premier Hotel or Resort from 19 April – 5 May. With 16 stunning properties on offer you are bound to find something that will appeal to your travel needs. Here are some options to ponder over. Those looking for a seaside stay can head to Premier Hotel The Richards in KwaZulu-Natal. This piece of paradise offers true African beauty with endless unspoilt beaches and coastal conservation areas nearby. For some spoiling, the hotel’s Lezuri Spa offers packages that can be tailored to specific needs, including cocktails or nibbles from the spa set menu. For a getaway that combines the wonders of nature with warm South African hospitality, pick Premier Hotel The Winkler. Located close to the world-famous Kruger National Park and other breath-taking ecological attractions like God’s Window, Bourke’s Luck Potholes and Mac Mac Falls, it is the perfect base from which families can explore majestic Mpumalanga. Premier Hotel O.R. Tambo is the ideal accommodation option for families keen on seeing the City of Gold in all its glory. Johannesburg offers an array of activities ranging from shopping at Sandton City and learning about the country’s past at the Apartheid Museum to going on exhilarating rides at Gold Reef City. 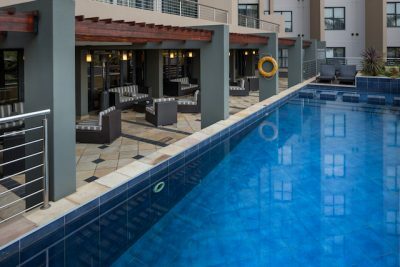 Best of all, it’s close to a Gautrain station to enable quick and easy access to all that Jozi and its neighbouring city, Pretoria, have to offer. 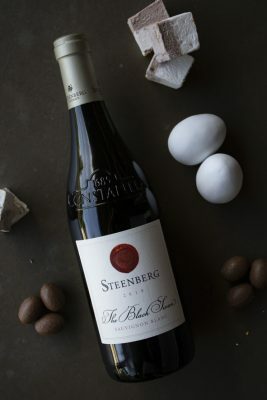 Enjoy Easter at Steenberg Farm in the Constantia wine valley with delicious treats, a hearty Sunday lunch for the whole family and fun galore for the children. For the entire weekend from 19-22 April 2019, visitors to the Steenberg Wine Tasting Room will be welcomed with a decadent Easter Marshmallow before enjoying their wine tasting. At Catharina’s Restaurant, Steenberg Executive Chef Kerry Kilpin will delight young and old with her fabulous Easter Sunday lunch menu, complete with a dessert table of all her signature sweet temptations. Children will be treated to a fun-filled Easter egg hunt followed by a special menu which Chef Kerry, who is also a mom, knows they will tuck into with glee. The soft serve ice cream and chocolate fountain on the Easter dessert table will be another sure winner – not just for the little ones. Adults can look forward to an extensive choice of flavourful starters and mains for all tastes. From herbed chevin tortellini, artichoke salad, croquettes, tempura prawns and Cajun calamari, to risotto, pork belly and a variety of grilled cuts, Chef Kerry has it covered. The Easter lunch menu is available on Sunday, 21 April at R550 per person for adults and R300 per child under the age of 12. Catharina’s Restaurant is open seven days a week for breakfast, lunch and dinner. For bookings contact +27 (0)21 7137178 or email reservations@catharinasrestaurant.co.za. Previous: ESI Africa on load-shedding: Knowledge is power!